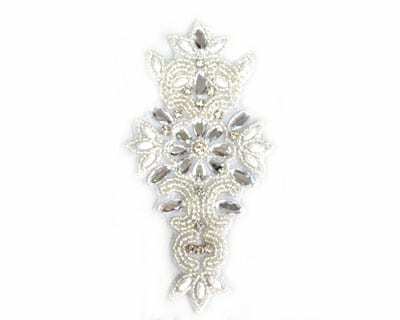 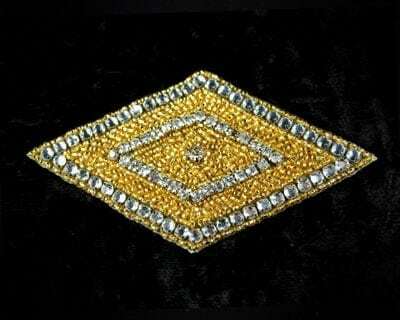 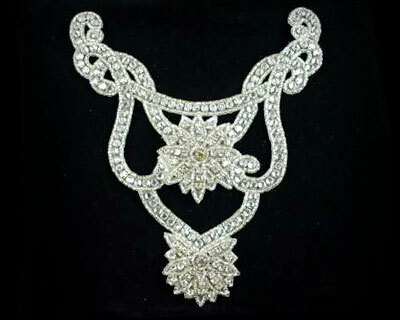 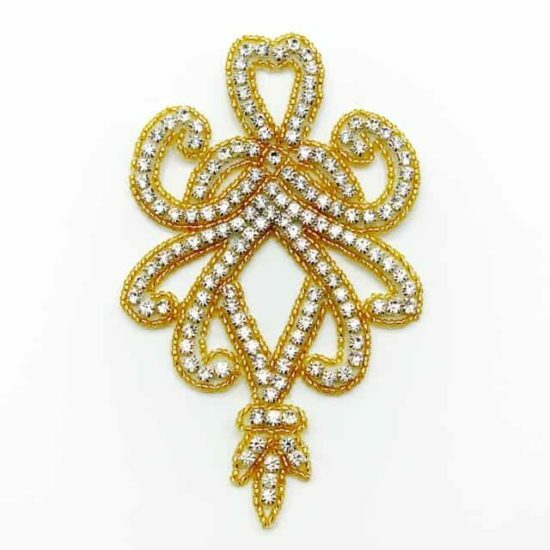 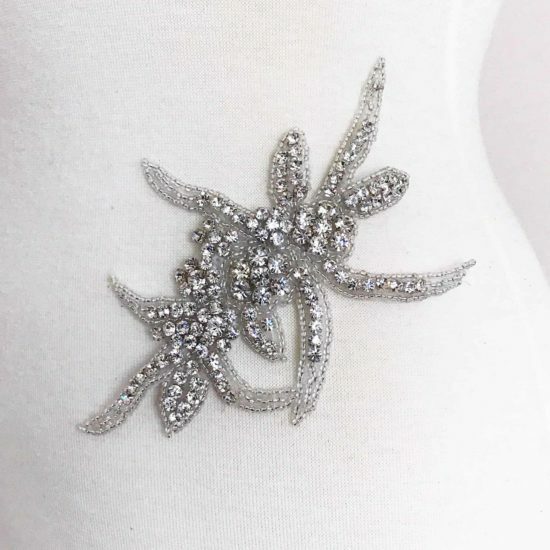 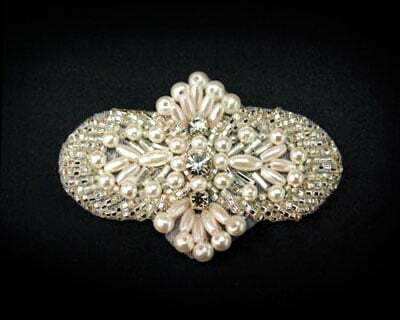 Beautiful rhinestone applique in a versatile design. 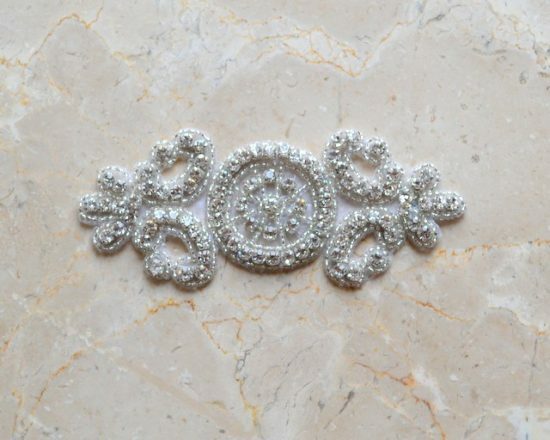 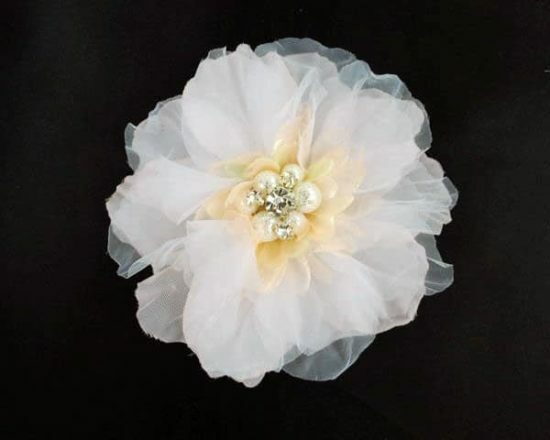 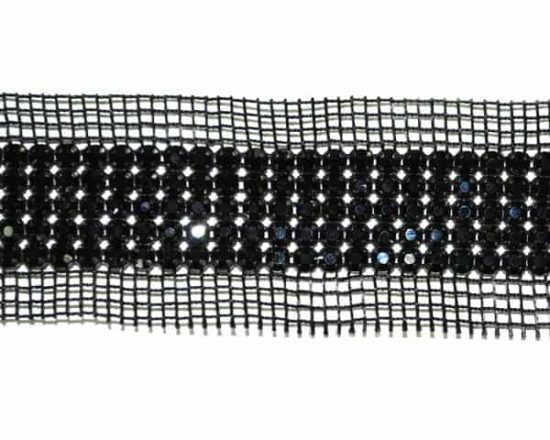 Great for neckline, sash, headband. 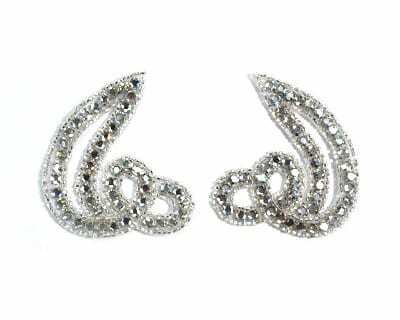 Available as left, right, or matching pair. 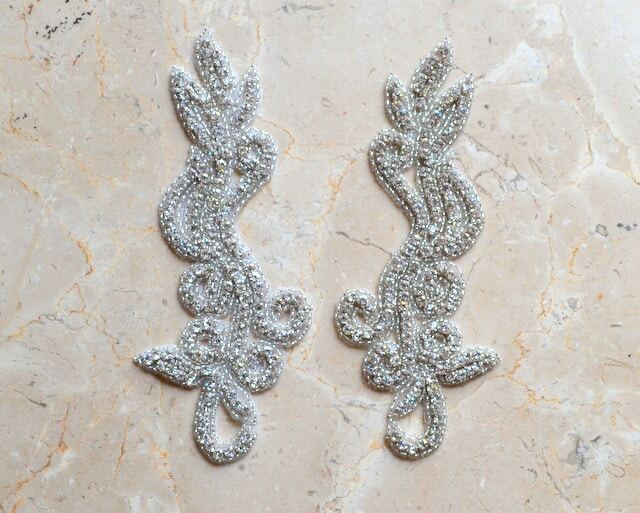 The cost for a pair is two times the base price.